Tagged as “emo rap” early on for rapper Slug’s frank depictions of not only his life but his feelings about it—kind of a no-no when you’re trying to be taken seriously as a white rapper—duo Atmosphere nonetheless succeeded against all odds to become of the most successful underground hip-hop acts of the 2000s. As he approaches middle age, Slug brings that same honesty to his raps about getting older and wiser on Southsiders, a kind of refocusing for Atmosphere. 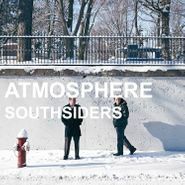 Rather than try to recapture the fury of Atmosphere’s youthful early albums, Slug portrays a newfound ability to look outward and upward here, saying “it could feel so wrong to feel all right when the world might not live through the night,” acknowledging the realities of getting older on “The World Might No Live Through the Night.” On tracks like “Camera Thief,” Slug reminds us how stunning his rhymes can be even as they remain introspective, even elusive in their meaning. The live band setting the duo of Slug and DJ/producer Ant have been employing more and more works wonders on songs like that one and the title track, whose gritty, tremoloed electric guitars duet beautifully with Slug’s skipping cadence and evocative lyrics, while the Latin acoustic guitars of “Mrs. Interpret” blend with record scratches to create a sumptuous setting for Slug’s romantic yet fraught tale—a nice update from the tortured tales of dealings with women in Atmosphere’s earlier work. 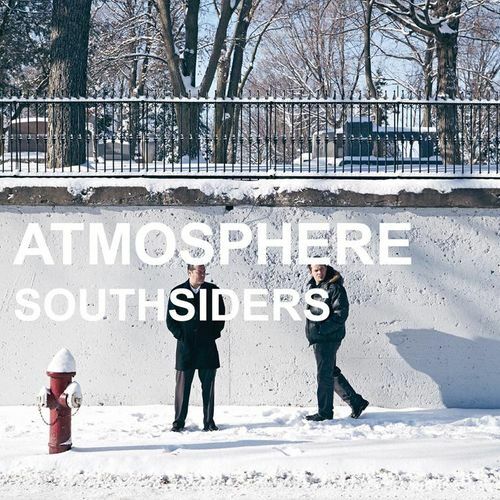 But Southsiders would be in danger without a couple of catchy singles, as early chatter around it has focused on a song called “Kanye West,” which finds Slug chanting “put your hands in the air like you really do care.” Even with its party vibe, “Kanye West” is true to Atmosphere’s core aesthetic—“she said she needed something to blame—and right then is when I offered my name” Slug sings of marital realities on the track. The other single, “Bitter,” finds Slug giving an old buddy (or himself) a call to chin up—“run and get a sliver of dignity, you ain’t gotta be a figure of misery” he raps. He could be talking to a younger version of himself—the older, wiser Slug on Southsiders proves getting older and wiser needn’t mean the music should get dull.